What You Should Know Before Buying an Affordable CNC Wood Router? What is CNC Wood Router? A CNC wood router is a wood caving machine with CNC (Computer Number Controlled) for smart 2D/3D routing, carving, cutting, milling, grooving, drilling on popular woodworking projects: wood arts, wood crafts, wood signs, wood gifts, wood toys, cabinet making, wood modeling, wood door making, wardrobe and other wood furniture production. Wood CNC Machine, Wood CNC Router, Woodworking CNC Router, Wood CNC Carver, Wood CNC Engraver, Wood CNC Cutter, Wood CNC Table, CNC Wood Machine, CNC Wood table, CNC Wood Engraver, CNC Wood Carver, CNC Wood Cutter, CNC Wood Carving Machine, CNC Wood Cutting Machine, CNC Wood Routing Machine, CNC Router for Woodworking. Mini/Small CNC wood routers, 2x4 CNC wood routers, 4x4 CNC wood routers, 4x8 CNC wood routers, 5x10 CNC wood routers. Desktop/Tabletop CNC wood routers, 3D CNC wood routers, Hobby CNC wood routers, Standard CNC wood routers, Large format CNC wood routers. 3 axis CNC wood routers, Rotary axis/4th axis CNC wood routers, 4 axis CNC wood routers, 5 axis CNC wood routers. CNC wood router is widely used in industrial production, small business/small shop, home business/home shop, school education and hobbyists. Cupboard doors, interior doors, sofa legs, wood table legs, wood columns, wood corners, headboards, art furnitures, office furnitures, wood furnitures. 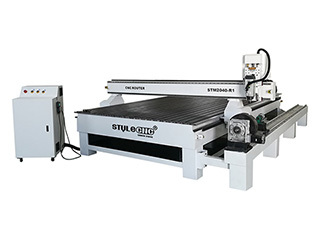 STYLECNC is a guaranteed CNC wood router manufacturer, supplier and seller. 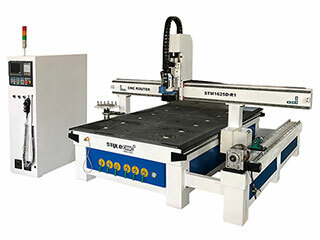 STYLECNC provides smart woodworking solutions with all kinds of best CNC wood routers for sale to fit your works. 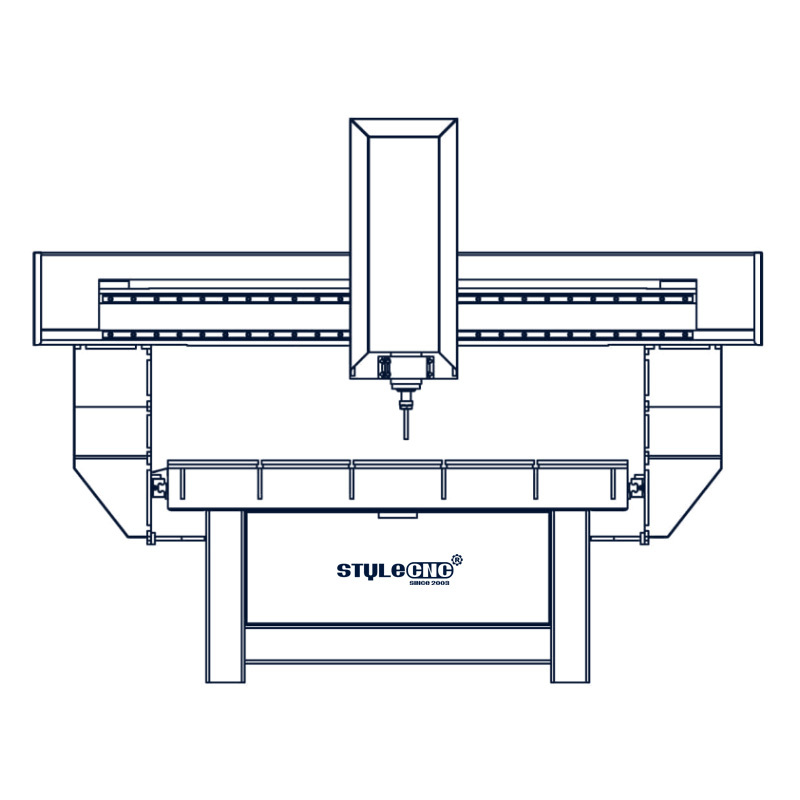 STYLECNC offers ex-factory price for your CNC woodworking plans without any intermediate. You will get the best CNC wood routers with the affordable price from us. 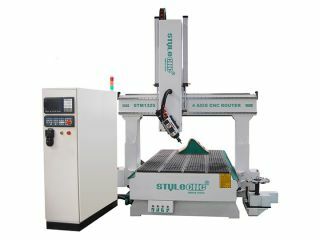 STYLECNC also offers all-round 2D/3D smart woodworking solutions, 24/7 free service and support, which is available free. The max size of the materials (Length x Width x Thickness). The best CNC wood machine specifications, the best CNC wood machine accessories and the most competitive CNC wood machine price. Both sides carefully evaluate the details (technical parameters, specifications and business terms) of the order to exclude any misunderstanding. If you have no doubt, we will send you the PI (Proforma Invoice), then we will sign a contract with you. We will arrange the wood CNC machine production as soon as receiving your contract and deposit. The latest news about production will be updated and informed to the CNC wood router buyer during the production. The whole production procedure will be under regular inspection and strict quality control. The complete wood CNC machine will be tested to make sure they can work well before out of factory. We will arrange the delivery as the terms in the contract after the confirmation by the woodworking CNC router buyer. We will supply and deliver all the necessary shipping documents to the CNC wood table buyer and ensure a smooth customs clearance. Phone, Email, Skype, WhatsApp, Online Live Chat, Remote Service. We also have door-to-door service in some areas. Moving Table CNC Router Machine with 16 pieces automatic tool changer is used for high precision engraving and cutting on wood, brass, aluminum, plastic, acrylic, MDF and other similar materials. Multi-function CNC router machine with 4 axis rotary is used for working on plate board material, the CNC router also can do 3D CNC working on round material with rotary. 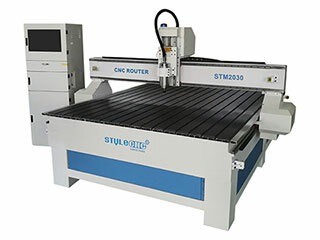 STM2030 CNC Router Machine is used for carving, engraving and cutting in furniture processing, woodworking decoration, wood art work, home decoration, doors manufacturing and glass engraving. Now the CNC Router Machine for sale with cheap price. 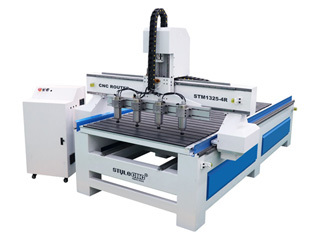 The best 4 axis CNC Router is designed for 3D curved surface carving, 4 axis is refer to X-Y-Z-A, X-Y-Z-B or X-Y-Z-C, 4 axis are linked, the four axis can work at the same time. Now the affordable 4 axis CNC router for sale with low price. 4th axis CNC router with rotary fixed into working table is used for CNC woodworking, CNC moulding and advertising, now the 4th axis CNC router for sale with cost price. 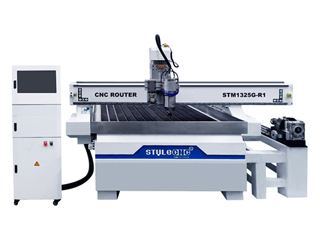 STYLECNC® Glass Cutting and Carving CNC Router is used for cutting and carving glass, wood, MDF, acrylic, plastic, aluminium, copper, etc. 4 heads CNC woodworking machine for 3D carving with four 3.5KW air cooling spindles can process four pieces at the same time, it can greatly improve the 3D carving efficiency. 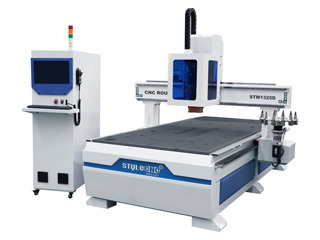 And the woodworking CNC machine adopts Z axis with 400mm height, which can process high pieces. 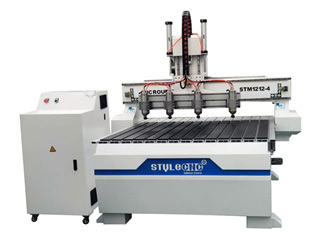 This is a solid, well-made CNC router machine. It's a whole lot better than the old craftsman CNC router table I had. That was a piece of junk in comparison. I purchased this CNC machine two months ago and I haven't seen anything close to the quality and features of this machine in this price range. It's very good value for the machine price. Today we cut the MDF and plywood with the CNC router machine. Both look to be very well made and are doing what we need so far. STYLECNC has never made us disappointed thus far, when we finish the first cabinets, we will come here to update. 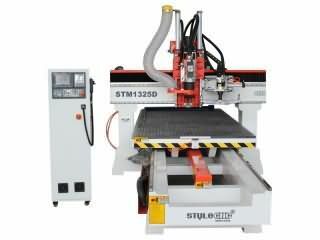 I really love this STM1325-3T CNC router machine, my work is to make all kinds of wood doors and cabinets. as far as I am concerned this CNC machine is suitable for my job. Thanks for the help of STYLECNC. I received the CNC machine last week and took about 2 hours to familiar with the operation. I was concerned about the table not being flat but it is very flat, no bumps or dips. I made a beautiful set of 7' cabinet doors as part of a Murphy bed (my first project). I think this CNC router will last me many years. I definitely recommend it. I recently ordered this cnc router and received the package within the alloted time. The cnc machine came together without any trouble, On completion when trying to run the cnc router software. I had an issue and STYLECNC team responded to my query within minutes and it turned out my anti virus software was the root of the problem. Now I start testing the cnc router and all ok. The machine is very solid and I think it is worth purchasing. This is a very good router. I've used this router a lot so far and it has held up really well. I want to make a cabinet with this machine when I get a chance. Overall this is a very good CNC router machine. I have used this machine for a lot of renovation projects, and have gotten high-quality results out of it. Wood working is my hobby for many years. I am always interested to get a CNC machine to do some work difficulty by hand only. However, such machines are either too expensive or too small. 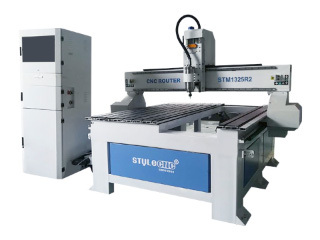 Last year, I noticed this 4 axis CNC routher from STYLECNC. It is a CNC router with a reasonable size at a good price. I decided to give it a try. As expected, it's really an amazing machine. i love it so much. it can do many works, save so much time than by hand. highly recommended!! !